Tracie Travels storefront! What?! 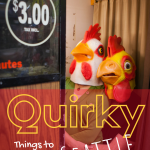 | Tracie Travels The misadventures of a restless photographer. Travel photographer and travel blogger, Tracie Howe, wanders the globe seeking out new adventures and photo opportunities to blog about. Join her for a unique perspective on travel, travel photography, and travel tips. That’s right! Tracie Travels now has a storefront! Not only am I recently back from a month long trip to Greece and Malta, but I’ve just opened up my own shop! Technically it’s a pop-up shop for Tracie Howe Photography, which is the umbrella under which Tracie Travels resides. It’s only open until the end of the year, so it’s kind of a fun experiment to see how things go. I’m selling my landscape and travel photography, with a lot of images from the Pacific Northwest since that’s where it’s located. Having a storefront requires a lot of work that is different to blog posts and social media, though truly those should be a part of it too. I’ve been busy since I’m still setting things up, but my shop is open! I have to be there to sell anything though, so I’ve got to go now to (wo)man my pop-up shop! Before I go, I should probably tell you how to find it, right? 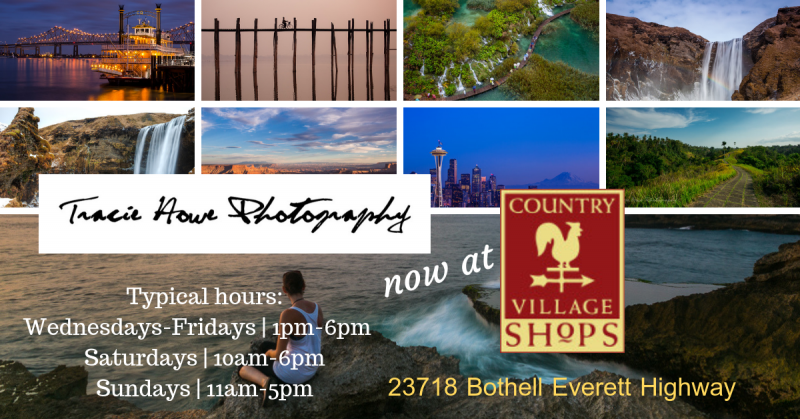 If you’re a Seattle area local or visitor to the area, you’ll find my shop at Country Village Shops in Bothell, WA. My shop is in the Artisan Market, which is a central building right in between the two playgrounds. I can’t be there every day, but someone should be in the building if you stop by. You are always welcome to take a peek when I’m not around. However, if you want to say hi, buy something, make a custom order, or even commission any work, my hours tend to be Wednesday-Friday afternoons, and most of the day on the weekends, all within the Country Village Hours. They vary a little bit each week, but if you inquire about a certain day or time, I’ll be sure to be there! 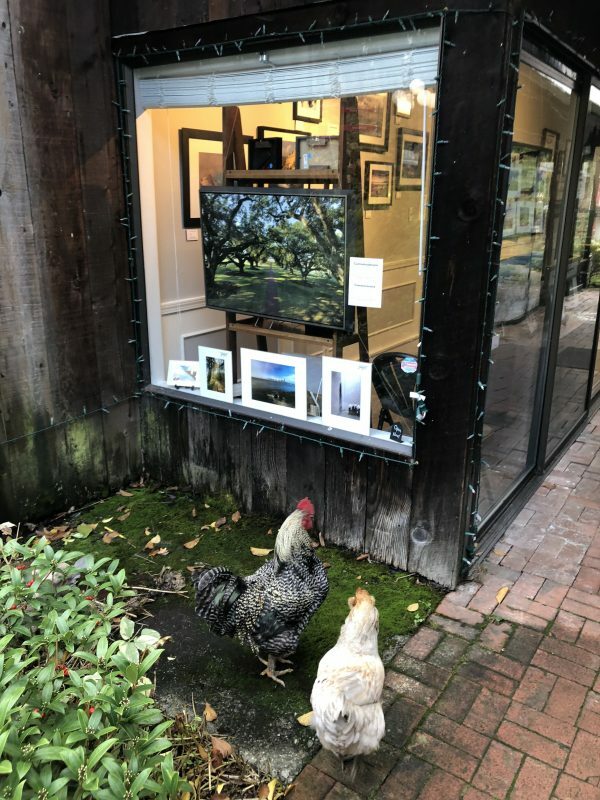 The Country Village hours and location, as well as events (all of which I try to attend), can be found on their website: www.countryvillagebothell.com . Remember, I’ll only be there until the end of the year, so be sure to stop by before then! And if you haven’t heard the sad news, Country Village is supposed to be torn down by April, so you’ll definitely want to visit sooner than later.